Explaining how Fast Travel works in Sekiro: Shadows Die Twice. 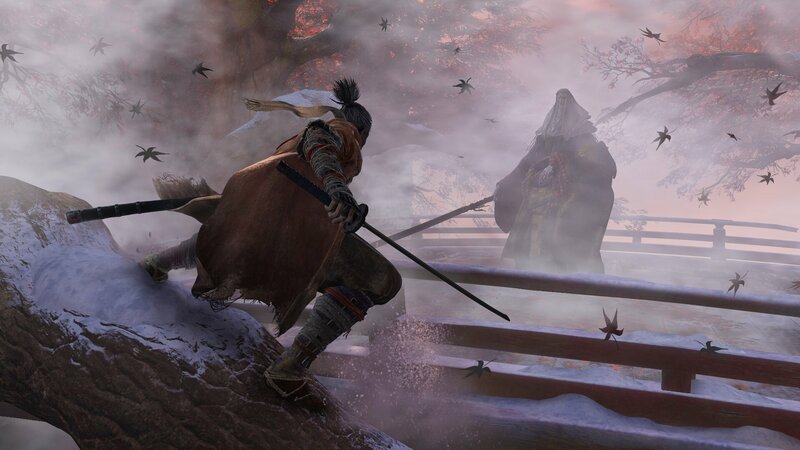 In Sekiro: Shadows Die Twice, as with other games via FromSoftware, gamers have the ability to use Fast Travel to quickly move between different areas. For those who’ve played one or more of the Dark Souls games, you’ll be happy to hear that Fast Travel works similarly in that it works in conjunction with save points. Want to know more? We’ve got you covered! Below, we’ve put together a quick guide explaining how to Fast Travel in Sekiro: Shadows Die Twice! To use Fast Travel in Sekiro: Shadows Die Twice, you'll want to visit and rest at Sculptor's Idols throughout the game as these act as save points which you can then use to move between areas. Sekiro: Shadows Die Twice has a Fast Travel mechanic for players to use. As noted above, Fast Travel works with save points in Sekiro, which are similar in nature to those used in Dark Souls. In Sekiro: Shadows Die Twice, these save points are known as Sculptor’s Idols. Whenever you encounter a Sculptor’s Idol in Sekiro: Shadows Die Twice, you’ll want to interact with it by tapping X on Xbox One or Square on PlayStation 4. In doing so, you’ll begin the process of resting at the Sculptor’s Idol. Once you’ve finished resting, you’ll unlock that particular Sculptor’s Idol as a Fast Travel point on your in-game map. By opening your map and selecting one of the Sculptor’s Idols you’ve previously rested at, you’ll be able to Fast Travel to the location of that Sculptor’s Idol if you so choose. As you’d expect, the more Sculptor’s Idols you find and rest at, the more expanded your Fast Travel options will become. Other things you can do while at a Sculptor’s Idol include viewing your Unseen Aid percentage stats. You can also use the rest period at each Sculptor’s Idol to automatically save your progress before exiting out of the game. Now that you know how to Fast Travel in Sekiro: Shadows Die Twice by resting at Sculptor’s Idols and interacting with them to move between different areas, be sure to check out some of our previous guides including what the name Sekiro means in Sekiro: Shadows Die Twice, and whether or not a multiplayer component is available in Sekiro: Shadows Die Twice.